Each May at the annual Call Service Concordia Lutheran Theological Seminary has the opportunity to confer two major awards on worthy pastors or lay members of Lutheran Church–Canada. The recipient of the “Friend of the Seminary” award is nominated by the faculty or Board of Regents for making a significant contribution to the well-being of the seminary. 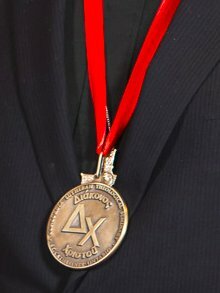 Anyone in LCC may nominate a candidate for the Delta Chi award. No current faculty or board member is eligible. Please submit your nomination in writing to the seminary or via e-mail to concordia@brocku.ca. The deadline for nominations is 15 February 2017.